If you or a family member were bitten by a dog in Virginia, the attorneys at CHASENBOSCOLO want to help you. We have more than 30 years of experience helping those who were hurt in preventable accidents like these. Our firm is committed to getting you justice and making our community safer. In many other states across the nation, dog owners are strictly liable for their dogs when they bite other people. Virginia, however, is not a strict liability state when it comes to dog bites. Instead, Virginia is considered a “one bite” state, which means that dogs are essentially given one free bite. A dog owner cannot be held liable when they did not know their dog had violent propensities. Virginians should not assume, however, that they cannot hold a dog owner liable because that owner claims to not have known about their dog’s aggressive behavior. Evidence can often be uncovered that refutes these claims. Did you or a loved suffer injuries as the result of a dog bite in Virginia? If so, it will be very important for you to hire a lawyer as soon as possible. CHASENBOSCOLO helps residents and visitors in Virginia who have been bitten by dogs. We understand how these claims work, and we are ready to sit down with you to listen to your story. Our knowledgeable Virginia dog bite lawyers will discuss your rights and legal options when you schedule a free consultation with us. Call us at (703) 538-1138 or contact us online today. If you’ve been bitten by a dog, it is important to secure legal help as soon as you are able. A lawyer will know how to preserve important evidence and file paperwork before important deadlines. The first thing an attorney can do is conduct an independent investigation that helps collect all of the necessary evidence. A lawyer can also deal with any insurance companies on your behalf. Legal representation can be very important when dealing with insurers because the insurance companies will usually try to deny liability in most cases. They may offer victims lump-sum settlements to resolve dog-bite cases, but these settlements are usually much less than what the victims are actually entitled to. An attorney will be able to determine the true value of your case and then fight to help you recover that amount. An experienced lawyer will work to make sure you obtain compensation for all of the medical bills and lost wages an insurer may ignore or minimize in their own settlement offer. CHASENBOSCOLO has recovered hundreds of millions of dollars for our clients since our firm was founded in 1986. Since then, we have made clients our top priority. 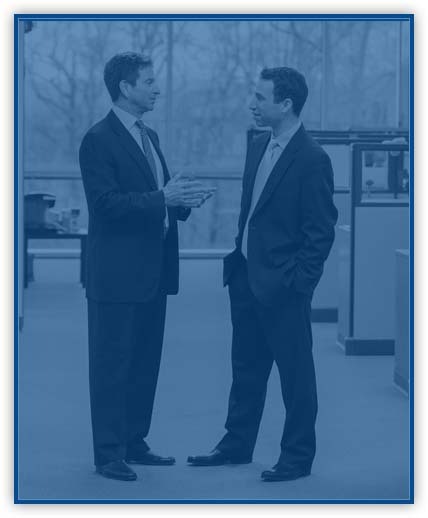 Barry M. Chasen and Benjamin T. Boscolo both have more than 30 years of legal experience. Mr. Chasen and Mr. Boscolo both have AV Preeminent ratings from Martindale-Hubbell, which denote the highest level of professional excellence. CHASENBOSCOLO also provides a No Fee Guarantee,® so you pay us nothing unless you receive a monetary award. We know that many people do not seek attorneys for fear of legal costs. That’s why we provide our clients with representation on a contingency fee basis. Our firm will diligently work toward a just settlement that provides for all of your needs. If the insurance company refuses to provide appropriate compensation, we will take your case to court. Dog owners can face criminal charges for certain violations of the state’s dangerous dog laws. A dog owner will be liable for a dog bite if they own a dangerous or vicious dog. Virginia Code § 3.2-6540 defines a dangerous dog as (1) a canine or crossbreed that has bitten, attacked, inflicted injury on, or killed a companion animal that is a dog or cat; or (2) a canine or crossbreed that has bitten, attacked, or inflicted injury on a person. Under Virginia Code § 3.2-6540.1, a vicious dog is defined as a canine or crossbreed that has inflicted serious injury to a person, killed a person, or continued to exhibit the behavior that resulted in a previous finding by a court or animal control officer that it is a dangerous dog. Always make sure you receive medical care after any dog bite. Do this even if you do not think that you were seriously hurt. Proper care is important to prevent infections, and medical records are beneficial when they are created immediately after an incident Take pictures of your wounds before they heal. A person who is bitten by a dog with an owner not well known to them should locate the owner and ask for their contact information. If you suspect they are not being truthful with you, ask for a driver’s license. Contact police if necessary to file a report. Also be sure to call a lawyer before speaking to any insurance company. How can a leash law impact a dog bite case? In Butler v. Frieden, 208 Va. 352, 353, 158 S.E.2d 121, 122 (1967), the Supreme Court of Virginia ruled that a violation of a statute or ordinance constituted negligence per se under state law. The case involved injuries caused by an unattended and unleashed dog, and the Supreme Court of Virginia held that a dog owner can be strictly liable for a dog bite when they violate a local leash law. In Stout v. Bartholomew, 261 Va. 547, 544 S.E.2d 653 (2001), however, a motorcyclist was injured in a dog attack and brought negligence actions against the dog’s caretakers, the invisible fence company, and the fence manufacturer. The Supreme Court of Virginia held that a county code provision requiring animals to be kept secured by a leash or lead and under control of the owner, or within the real property limits of the owner, was not applicable and therefore did not supply a standard of care as to caretakers of the dog. This judgment, therefore, mandated that when a dog escapes from a pet containment system designed to keep a dog within an owner’s property limits, the owner has not violated county code provisions. The action by the owner and caretaker was reasonable and the caretaker did not fail to exercise a reasonable standard of care. The jury also returned the verdict against the motorcyclist with regard to her negligence claim against the invisible-fence company. What happens if I am bitten by a stray dog? benefits? When you are bitten by a stray dog, you should largely follow the same steps you would take if bitten by a dog you know, namely in getting medical attention. A stray dog is usually one that has no recent owner, which makes it difficult to hold anyone liable for your injuries. Some of the possible ways compensation could still be recovered in these cases is if a dog was abandoned by an owner known to the victim. In other cases, it may be possible that a local animal shelter could be liable if the dog escaped from their custody. According to the 501(c)(3) nonprofit organization and public education website DogsBite.org, breeds of dogs involved in fatal attacks on humans from January 2005 to March 2018 included 284 pit bulls (65.6 percent), 45 rottweilers (10.4 percent), 20 German shepherds (4.6 percent), 17 mixed-breeds (3.9 percent), 15 American bulldogs (3.5 percent), 14 mastiffs or bullmastiffs (3.2 percent), 13 Huskies (3.0 percent), nine Labrador retrievers (2.1 percent), seven boxers (1.6 percent), six Doberman pinschers (1.4 percent), four Malamutes (0.9 percent), four golden retrievers (0.9 percent), four heelers (0.9 percent), three cane corsos (0.7 percent), three chow chows (0.7 percent), three wolf hybrids (0.7 percent), two Presa Canarios (0.5 percent), two Akitas (0.5 percent), two Australian shepherds (0.5 percent), and two Belgian malinoises. DogsBite.org noted that 20 different dog breeds each inflicted one death each. A November 2010 statistical brief from the Healthcare Cost and Utilization Project (HCUP) reported that there were 316,200 emergency department (ED) visits and 9,500 hospital stays involving dog bites in 2008. This was an average of 866 ED visits and 26 hospitalizations every day, with the average cost of a hospital stay being $18,200, or about 50 percent more than the average stay for other injuries. The Division of Unintentional Injury Prevention, National Center for Injury Prevention and Control (NCIPC) and the Centers for Disease Control and Prevention (CDC) reported that approximately 4,521,300 people were bitten by dogs from 2001 to 2003. A separate study from the CDC found that 756,701 people bitten by dogs required medical attention. The United States Postal Service (USPS) reported that in 2016, 6,755 USPS employees were bitten by dogs. The Insurance Information Institute (III) and State Farm reported that homeowners insurance companies paid more than $686 million in liability claims related to dog bites and other dog-related injuries in 2017. The American Society of Plastic Surgeons stated in its 2015 Plastic Surgery Statistics Report that 28,079 people underwent reconstructive procedures related to dog bite repair. If you have sustained injuries due to a dog attack in Virginia, make sure that you have legal representation. Dog bites can be very challenging injuries to recover compensation for, but the experienced Virginia personal injury lawyers at CHASENBOSCOLO will compassionately and professionally guide you through the process of obtaining compensation. CHASENBOSCOLO will fight to help you get every last dollar you need and deserve. Call (703) 538-1138 or contact us online today to receive a free initial consultation.